It’s out today on CoolDudes!!!! reaction reveals a deeper connection that sends their relationship spiraling down into dangerous territory. their love, has been the foundation of their covenant all along. 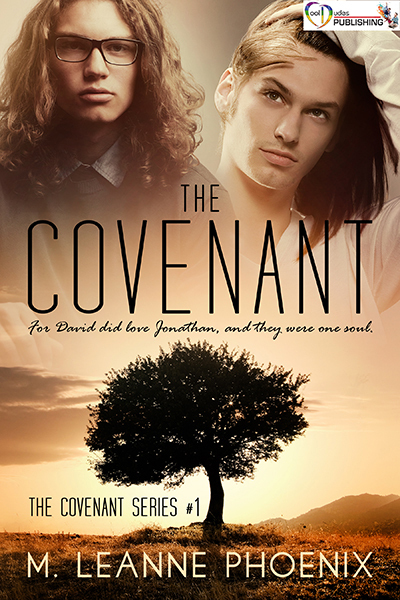 “I was fortunate enough to be involved in the beta reading process during The Covenant’s creation, which means I was able to immerse myself into the characters’ psyche and multi-dimensional plot development. Annie’s stories always have a bit of an otherworldly feel to them; her writing is contemporary but with a hint of soulfulness that make them timeless. That many young people are forced to hide their true selves for their own safety is a bitter truth that Phoenix tackles head on. The malevolent reaction to their love is both disturbing and heartbreaking. Jonathan references the depth of emotion found in the Greek concept of agape love when describing his feelings for David. Their love is pure; forged in the fires of prejudice and hate. Next > THE COVENANT… on the fence?